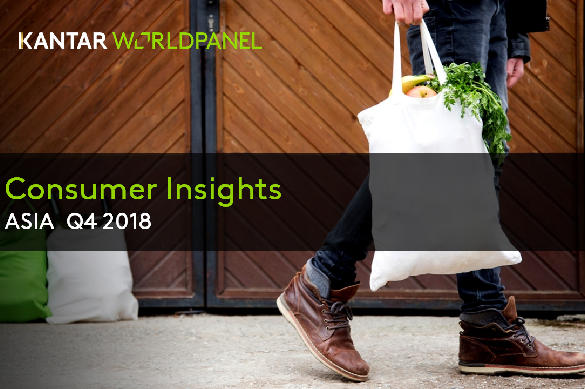 In this 2018 Q4 edition of the Asia Consumer Insights, we cover key FMCG trends in a variety of categories across China, Indonesia, Korea, Taiwan, Vietnam, Malaysia, Thailand, Philippines, India, and Saudi Arabia. FMCG in Asia sees an overall positive growth by 4.3% in Q4 2018, compared to 4.1% in Q4 2017. Of the sub-sectors, China leads the growth for Northeast Asia at 5.2% while the Philippines leads the growth for Southeast Asia at a stellar 11.3%. The beverage sector sees a healthy growth spurt this quarter at 2.4% as compared to 1.5% in Q3 2017. This was driven mainly by countries like India, Korea, Philippines, and Taiwan. Personal Food sector sees an appetizing growth of 3.9% as compared to 3.6% in Q4 2017, attributed to the convenience food demand in countries like Korea, Philippines and Indonesia. Click the link on the right to download the full report, with plenty of visual insights into FMCG in the Asiatic regions.